Whether for Halloween or other events where face painting is an integral part of the experience, many parents and children like to go with a lighter look, and we'll take glance at a number of designs to inspire some ideas for you in reference to children. 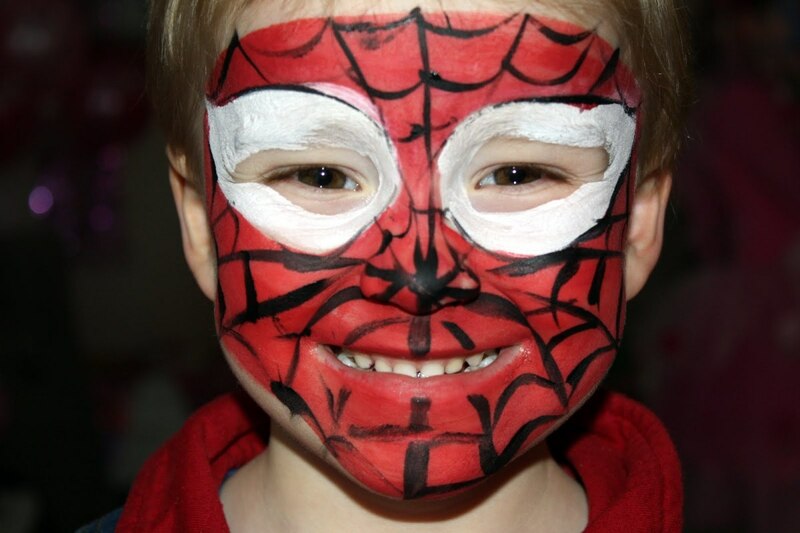 Face painting is a simple art form as far as the tools used, as you can create some awesome designs with paints that are easy to clean off once the day is over. depth as you want in making a temporary masterpiece. Just be sure you get plenty of pictures before you wash the paint off. 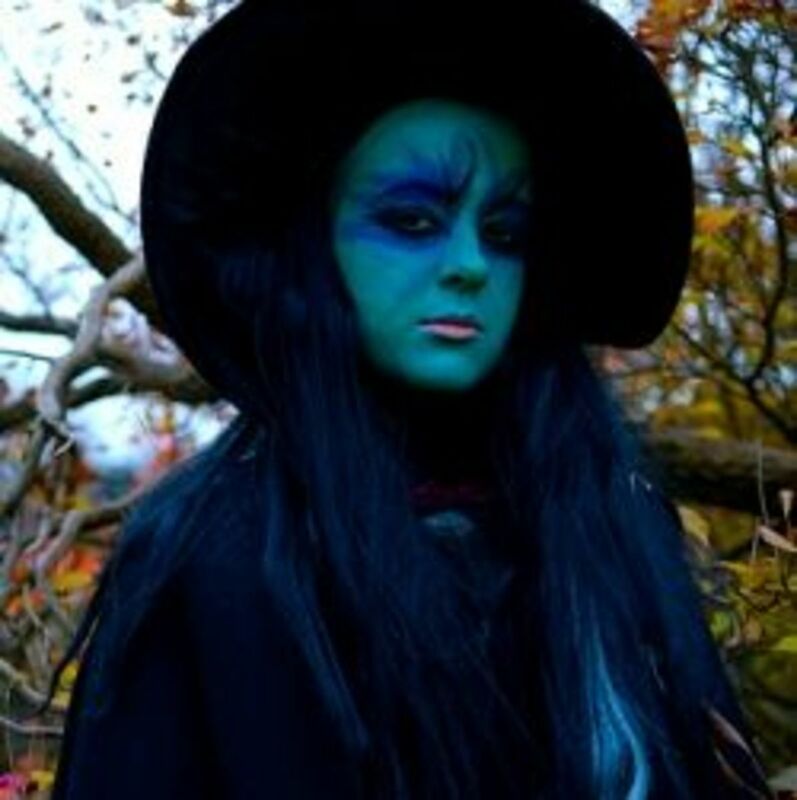 Halloween face painting is considered to be part of the overall costume, and in many cases is used in place of a physical mask; becoming the mask itself. 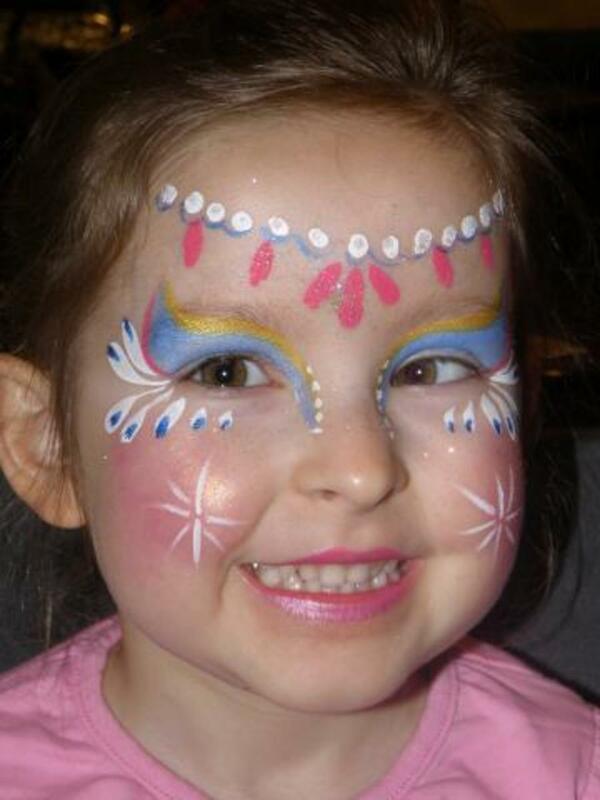 Now let's take a look at some fun ideas and designs to paint children's faces with, or inspire you for some of your own creations. The mythical creature the unicorn in times past was considered to be real, and while everyone knows at this time that isn't the case, it hasn't done anything to hurt the popularity of the amazing creature, which is primarily known for looking like a. 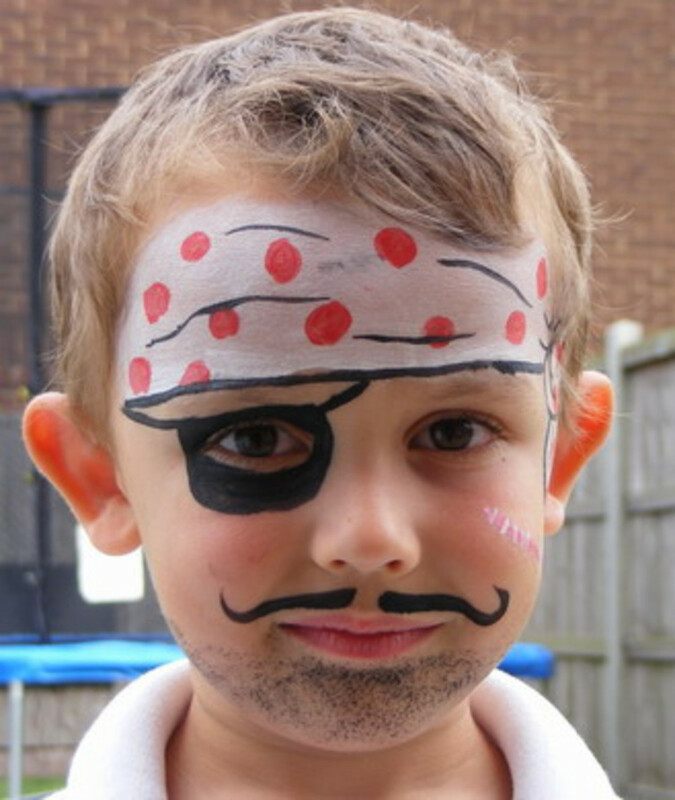 This first example of a little boy with a pirate image painted on his face is one that is used in place of a mask. You can see why it's so desirable and fun to use paints in this manner, as it removes the discomfort of a mask, if a child doesn't like wearing one, and also produces an awesome effect. 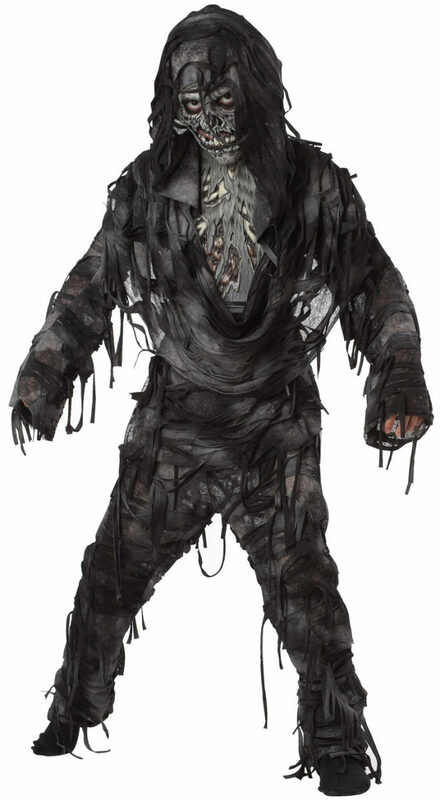 After all, where you you find a cool physical pirate mask looking like this one? The bandanna and eye patch look great, as does the little mustache and stubby beard. This is what makes face painting so enjoyable and fun. Oh yeah. Did yo notice that light scar located on the cheek on the right side of the photo? A little darker would have been better, but a great accent to the pirate face. 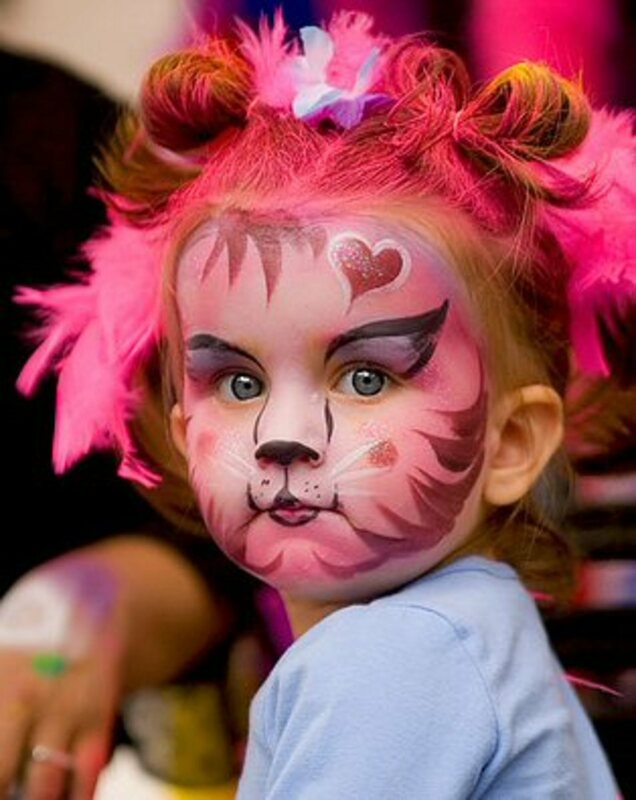 At first glance this cat face may look a little intimating for those with little experience at face painting, but it really wouldn't be that hard to duplicate when you look at separate parts of the design and perform each step of the process individually. 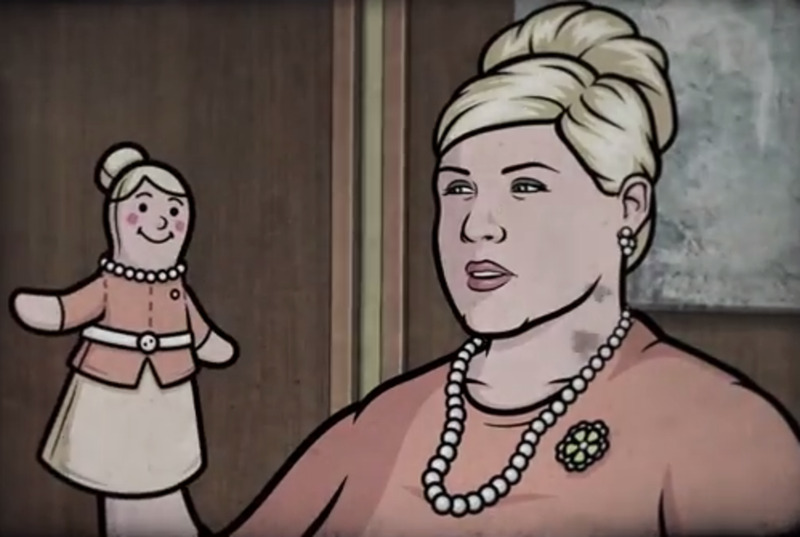 For example, look at the nose area. It's done very well, but all it entails is two lines on the side of the nose and the tip of the nose colored black. Then go from there to that wonderful cat mouth, and you have a straight line going down from the nose with a triangle shape above the top lip. On the sides of the mouth are two lines going straight up to create that part of the cat face. See what I mean? Break it down step by step and it's really quite simple to do, while creating a fantastic look. 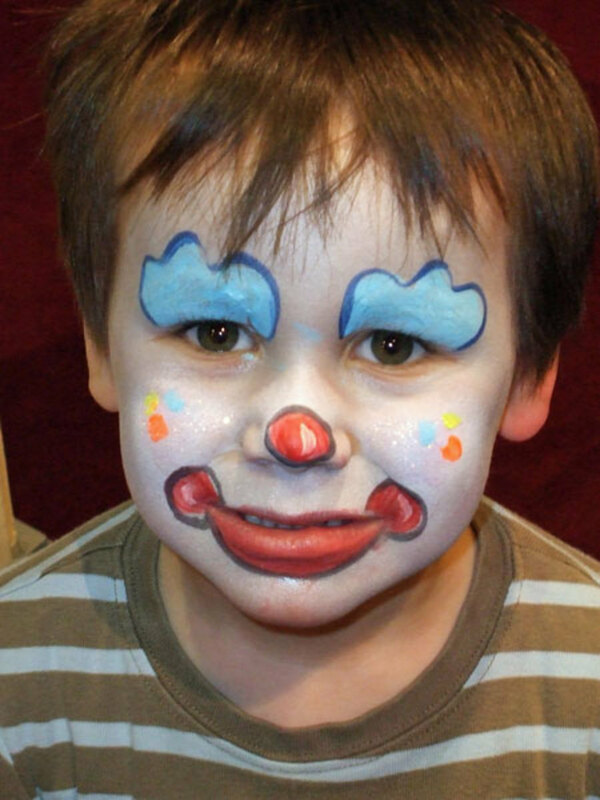 Here we have a great looking clown face, that again, while looking terrific, is relatively easy to do. I'm going to hit the theme of breaking things into smaller parts again to emphasize how easy it is to create something nice like this by yourselves. Start with the eyes. There are a couple of curvy lines outlined in darker blue ink, and then filled in with a lighter color. The middle of the face is covered with a white foundation to create the rest of the clown face with. From there the nose has a small red circle, giving a nod to the rounded nose of most clowns. After that are the two circles on each side of the mouth and the enlarged lower lip. For the cheeks there are the three little blue, yellow and orange dots to complete the clown face. Simple, easy, and effective. For those of you who learn better via video, here are several video tutorials on different design themes made for and on children. In keeping with our light theme, all videos are those made with that in mind. 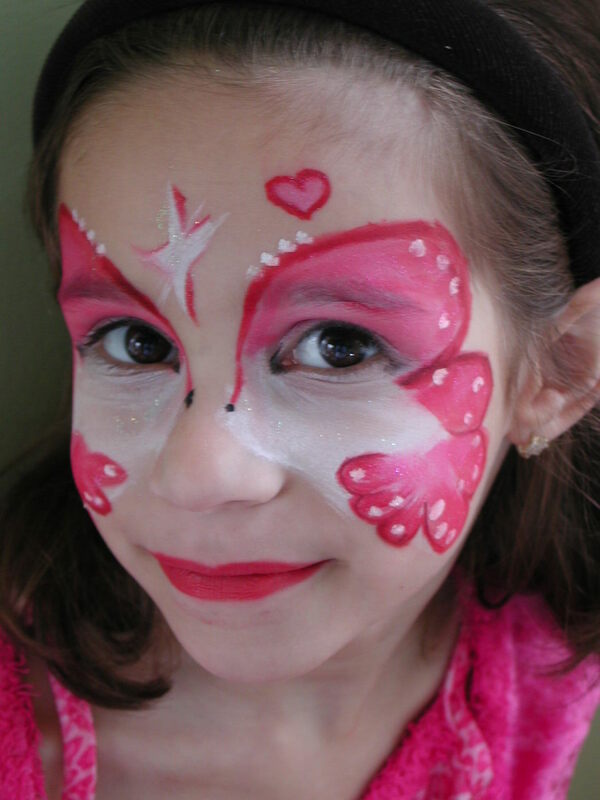 Included are tutorials on how to paint a fish, cat and butterfly on the face of a child. We're looking at fun and whimsical face paintings in this article, and here is another nice one that fits that bill, while looking great. The pink and white theme is a traditional one for little girls, and the cuteness that accompanies this one shows why it is always a winner. A white base was applied first for this design, with the pink added on top. I like the way the star was done in white with the pink outline, and them the heart was designed with a darker pink with the inner part of the heart being light pink. Looks good. I'm not sure what to call this face painting piece, but is sure is cute, and includes all sorts of unique accents to create the look. Every part of this design helps to create the whole. First you have the piece of jewelry around the forehead, with the beads and hanging objects coming down. Notice the touch of blue to make it appear like it's connected together. The gold, blue and red placed as eye shadow were great color choices, as are the feathery looking white droplets with blue in the center of the ends. Great effect. On the cheeks it appears a little blush was used as a foundation to make the sparkles or stars, which stand out nicely in front of the subtle red color. 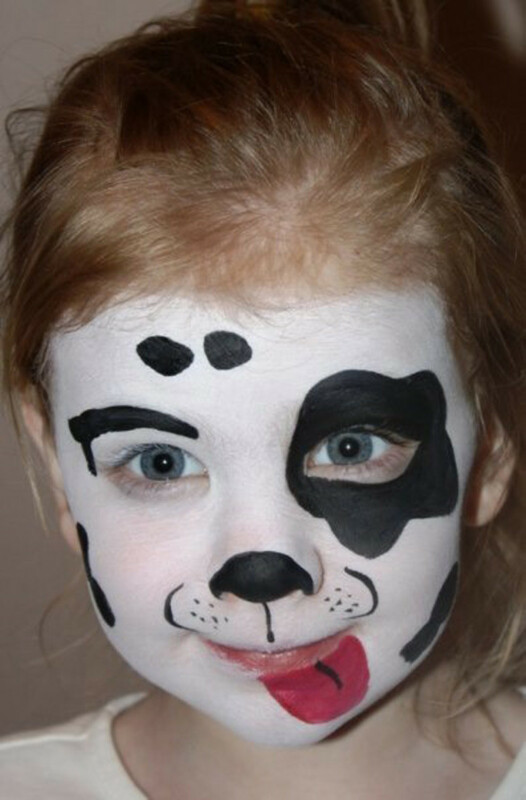 While cats get a lot of attention with Halloween makeup and face painting, dogs don't get near as much, but when they do, they're usually done in a very cool manner as the dalmatian dog below. it's a terrific theme, with the black and white eyes, cute nose, and a few spots sprinkled around the white-based face. Very simply but wonderful, and the child will love it. But the thing that sticks out - literally and figuratively - is the tongue to the side. We all know that's going to get the most smiles and appreciation of all. Look how easy and simple this design also is. You paint in the white base, fill in an eye and the nose, sprinkle about some spots and lines, and add the red tongue. 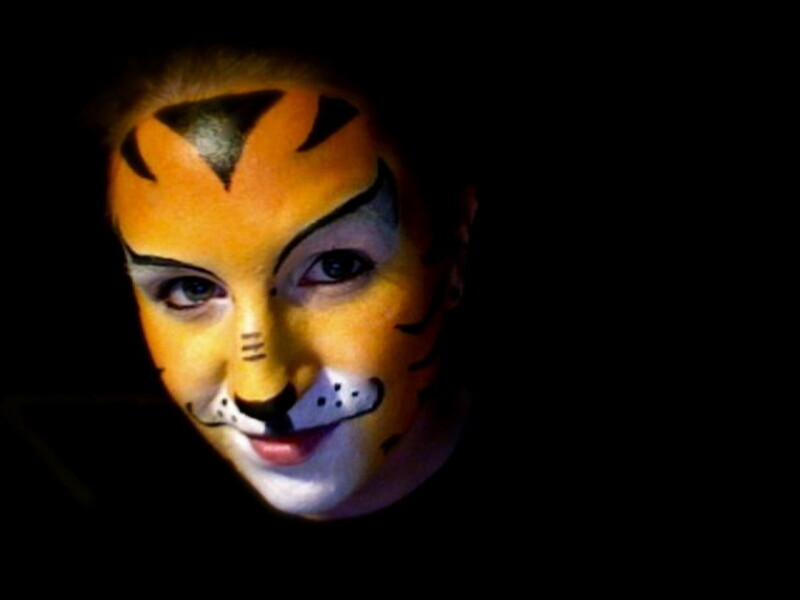 Sometimes when you first look at a nice face painting design, it can overwhelm some that aren't that experienced at it. 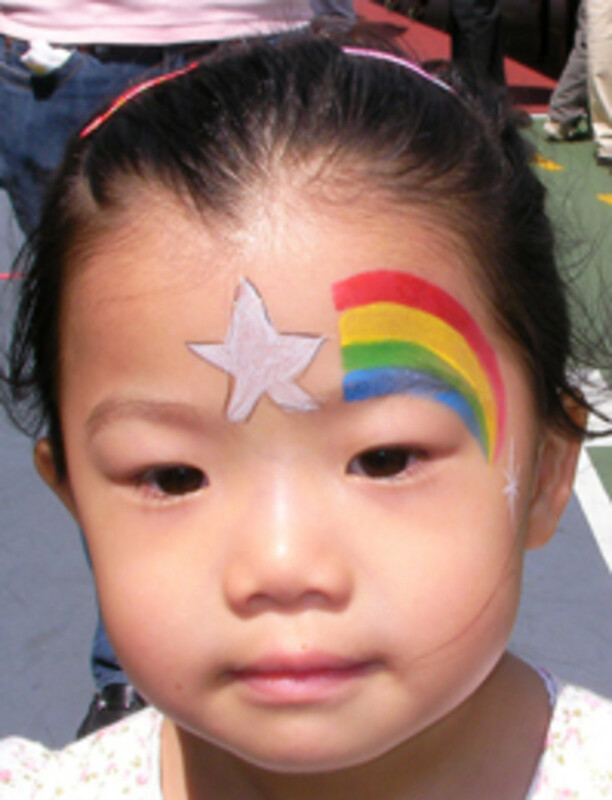 But when you take one part of the face and look at what needs to be done there, it becomes fairly easy to take one step at a time to create an awesome face for children using face paints and face painting techniques. So don't be daunted. Look at some of these examples and try some techniques to create different aspects of the designs, and then, based upon what you or the children you're working with desire to have painted on them, use those same techniques and your newly acquired experience to make your own awesome painted faces.